Dr. James Blake, a highly respected chief medical physician at River Edge Mental Health Institution, wrestles with inner demons that would terrify the most dangerous patients on the fourth floor. No one can stop his evil plan until fifteen-year-old Franki Martin is admitted to the hospital. 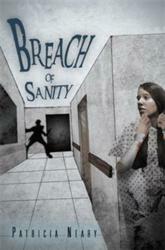 There she experiences his resident evil, in Patricia Neary’s newest story, the electrifying novel titled Breach of Sanity. In this book, Blake’s social and professional distance conceals his grim secrets: a sinister past, scheming ambition, and a brilliantly concocted lethal plan to destroy vulnerable patients. There is no antidote. Its execution is irreversible. At last, acclaim will shine in the eyes of his greatest love and tormentor, his beloved mother, Alma Blake. With spine tingling chills and thrills, this suspense thriller of a novel will allow readers to enter the world of those patients incarcerated inside this hellish place, called River Edge. A trusted servant of the medical profession, sworn to help those in need, is on a path of unimaginable destruction. A story of sadistic, malevolent ambition that pushes one man towards the brink of immeasurable cruelty in the name of research so as to satisfy a dark craving. Dr. Blake is master of deceit and destruction hiding behind a mask of professional power and prestige. This spellbinding read will give insight into the young life of Franki Martin who fell victim to her own tale of abuse, before entering into another nightmare, that could cost her her life. Patricia Neary loves getting lost in the world of words and decided to write her own book of suspense. Self-taught, she has spent endless hours perfecting her craft and has completed her first novel, Breach of Sanity, a thriller. Born and raised in Cape Breton, Nova Scotia, she now resides in Cobourg, Ontario, with her loving husband, Serge. She has two wonderful sons, Matthew and Michael and an amazing stepdaughter, Ashley. She is currently writing her second suspense thriller, Judas Playing Field.